If you are looking for a fixed dome camera – sometimes referred to as “mini-dome” – you will find it at here. You will even find some of the most compact and discreet fixed dome cameras on the market, measuring only 10 cm in diameter and 4 cm high. Special features for buses and trains. Our EX-SDI Dome Cameras have an active tampering alarm feature to help protect cameras against vandalism. 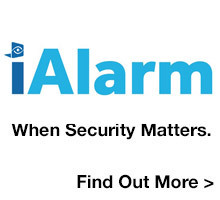 It can detect if a camera has been redirected, obscured or tampered with, and can send alarms to operators. This is especially useful in installations with hundreds of cameras in demanding environments where keeping track of the proper functioning of all cctv cameras is difficult. It is also useful in situations where no live viewing takes place and operators can be notified when cameras have been tampered with. In some surveillance applications, cameras are at risk of hostile and violent attacks. While a camera or housing can never guarantee 100% protection from destructive behavior in every situation, vandalism can be mitigated by considering various aspects: camera/housing design, mounting, placement and use of intelligent video alarms. Casings and related components that are made of metal provide better vandal protection than ones made of plastic. The shape of the housing or camera is another factor. A housing or a traditional fixed camera that protrudes from a wall or ceiling is more vulnerable to attacks (e.g., kicking or hitting) than more discretely designed housings or casings for a fixed dome or PTZ dome camera. The smooth, rounded covering of a fixed dome or PTZ dome makes it more difficult, for example, to block the camera’s view by trying to hang a piece of clothing over the camera. The more a housing or camera blends into an environment or is disguised as something other than a camera - for example, an outdoor light - the better the protection against vandalism. The way cameras and housings are mounted is also important. 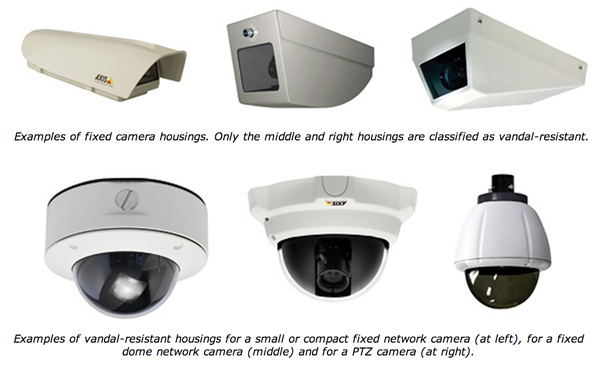 A traditional fixed network camera and a PTZ dome camera that is mounted on the surface of a ceiling are more vulnerable to attacks than a fixed dome or PTZ dome camera that is mounted flush to a ceiling or wall, where only the transparent part of the camera or housing is visible. Another important consideration is how the cabling to a camera is mounted. Maximum protection is provided when the cable is pulled directly through the wall or ceiling behind the camera. In this way, there are no visible cables to tamper with. If this is not possible, a metal conduit tube should be used to protect cables from attacks.